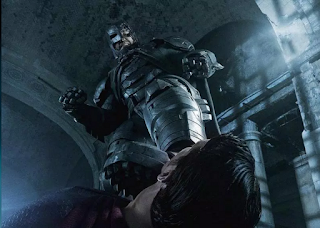 Home / Batman / Batman-v-Superman / Ben-Affleck / Comics / Henry-Cavill / Jesse-Eisenberg / Movies / Superman / 10 Worst Parts of "Batman v Superman"
I'm going to start off by saying that if you're dying to see Batman v Superman: Dawn of Justice then go see it. If you're planning to see Batman v Superman at all, then go see it in the theater. Watching it at home without a 70" big screen and a thundering sound system will be disappointing. I'm not recommending the movie, but I'm not telling you to skip it. I saw this movie at a special preview screening on Monday (thanks, Dr. Pepper!) and I was sorely disappointed. Since then I spent a week trying to figure out how to write a review that doesn't give away any spoilers, but it's impossible to explain why it's bad without examples, so this is a spoilery (but not completely spoiling) movie review. If you want to avoid the spoilers then just read the brief review at the beginning. Batman v Superman has amazing visuals and not much else. It's an overly complicated, poorly acted and discordant mess with amazing action scenes and little character development. As a comic book fan, I'm saddened over the mismanagement of my favorite comic book characters. As a movie lover, I'm furious that the studio lazily pushed out a movie that makes no attempt to rise above the medium. That said, if you want the full breakdown then here we go. When they cast Jesse Eisenberg everyone imagined him from The Social Network and cried "foul", but in fact, his performance is worse than Zuckerberg. He's performance is a stream of twitching and facial tics. 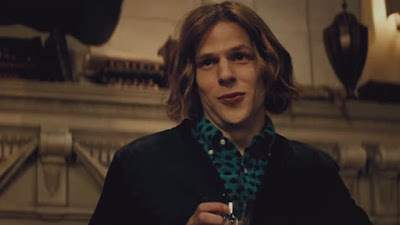 Lex Luthor is supposed to be a criminal mastermind and a genius, but Eisenberg makes him into a walking joke. Eisenberg said he wanted to give Luthor "a kind of manic intensity", but he went too far with the manic and not enough intensity. In one scene he's giving a speech and stops to mumble incoherently before admitting he forgot what he was saying. This Luthor is an idiot with a love of Jolly Ranchers and a smarmy grin. Luthor is supposed to be a genius, but this movie makes him impossibly smart and dumb. He's smart enough to figure out how to break into the Kryptonian Scout Ship when an army of scientists couldn't figure it out. How? By wearing the skin of Zod's (Michael Shannon) fingers which is ridiculous in itself. A technology that's light years ahead of ours can be fooled that easily? So he's impossibly smart. But he's not smart enough to lock his server room or keep the network cables out of reach? No. Luthor keeps his critical data servers in a glass room a few steps from his living room. In the comics, Lex Luthor starts out with a head full of curly red hair. Jesse Eisenberg's Luthor is bald by the end of the movie, but that's only because he has his head shaved. It feels tacked on. Eisenberg said it's the "greatest scene I've ever done" and I have no idea why. Ben Affleck is OK, but he's just OK. He's not the worst Batman (George Clooney) but not the best. The movie lost me the minute they showed Batman racing down the street dragging a car and flipping it on top of a group of his enemies. Time and again they show Batman mowing people down with high-caliber machine guns. The Nolan films went to great lengths to keep Batman from being an intentional murderer, but this movie shows a shocking lack of understanding about Batman. He hates guns because they killed his parents. It's true he had guns in movies before, but Batman has never been a mass murderer. Batman is a genius and a brilliant strategist, but this movie also makes him a paranoid lunatic. 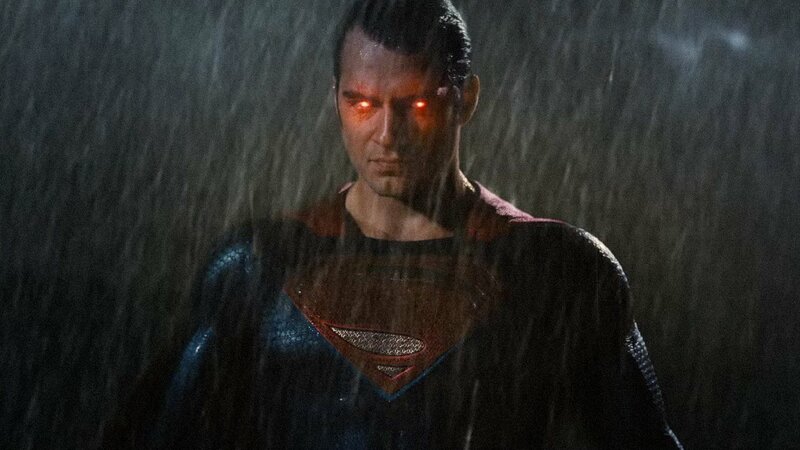 After the Battle in Metropolis, he decides to kill Superman (Henry Cavill). Why? Because there's literally a one percent chance that he could destroy the world. That kind of thinking makes no sense. With that logic, Batman should be killing everyone who even thinks of holding a gun. But that's his motivation throughout the movie. That's why he spends hours working out, building elaborate traps and a super-suit. It makes no sense and is against everything that Batman has ever stood for. Obviously, I'm a huge Superman fan and this movie does a good job of showing his humanity. But it also makes huge mistakes in his portrayal. Superman is dour and sad most of the time which is far from his optimistic viewpoint. Besides Superman's attitude, the movie takes away some of his core powers. 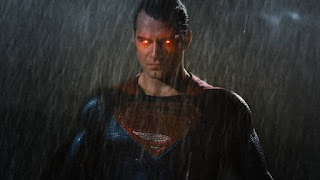 Superman used x-ray vision in the last movie, but he never uses it here. This is mainly because there are two huge plot points that depend on him not seeing things. First, when a terrorist attack happens. Then, when he fights Batman. If Superman had used his x-ray vision once or twice the fight would have been over. At least, in Superman (1978) Luthor was smart enough to hide his plans in a lead box. Batman has everything laid out like a buffet for Superman. Obviously in a movie like this Superman and Batman have to fight. But the biggest unforgivable sin is when Luthor forces him to kill Batman. Without spoiling it, his motivation makes no sense. Sure he killed Zod in Man of Steel but that was because he was saving innocent people. There's no reason Superman would kill someone just because someone else is threatened. 9. 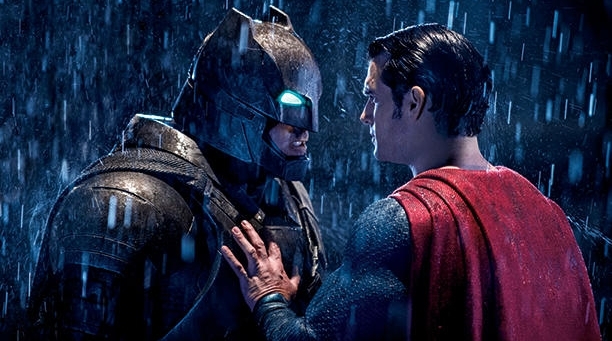 Batman v Superman Isn't "Fun"
Batman v Superman should be fun. Greg Silverman, president of creative development and worldwide production at Warner said humor "is an important part" of the movie. The movie doesn't have to be fun in a smarmy jokey way like some Marvel movies. But any blockbuster needs to be enjoyable to sit through. That's what makes you go back to the theater to watch it again. All great blockbusters have that. For example, Jaws is all about death but you still enjoy the experience. Batman v Superman isn't like that. The movie doesn't need a string of one-liners, but you need to walk out of the theater enjoying the experience. Plus, the movie is trying to be fun. There are jokes that don't work and emotional moments that aren't earned. The "Is she with you" joke is poorly timed and falls flat. No one in the theater laughed once. The movie doesn't make likable characters, so there's no joy when they succeed and no pain when they fail. Watching two people hit each other only matters when you care about them. The movie has plot twists, but nothing worth waiting for. When I saw the movie Zack Snyder appears in an opening clip begging the audience not to spoil anything. I'm not sure why. The plot of the movie is completely told if you watch the trailers. Batman sees his friends die in the attack. Superman is saving the world and hated for it. Luthor has Kryptonite. Batman decides to fight Superman. Doomsday shows up. The Justice League make brief cameos and Wonder Woman swoops in to save the day. Doomsday battles the trio. The end. It's all in the trailers. There are some minor twists, but nothing ground-breaking. A movie like The Sixth Sense has a genuine plot twist. A movie like Batman v Superman does not. There is one twist in the end that had people bawling in the theaters. But it's the same thing that happened in the biggest comic book storyline in the history of comic books. The thing that happened decades ago and covered by all the major news outlets across the country for a year. 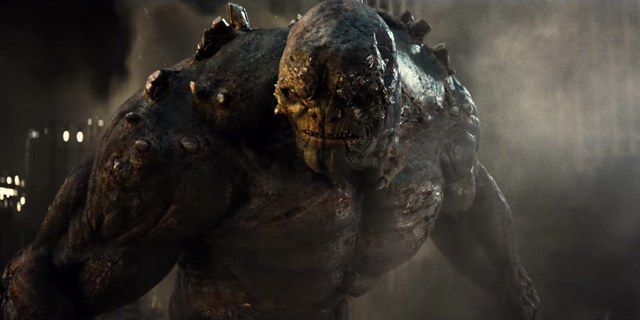 It's what happens when Superman fights Doomsday in the comics. Where's the surprise? Only if you know nothing about the history of Superman in the comic books. So, if you're a comic book fan it's not a plot twist. If you're not then it's shocking, sad, and surprising. But after fifteen minutes the moment is gone. In the end, Batman v Superman is everything you're looking for in a movie with a fight between Batman and Superman and not much else. What do you think of Batman v Superman? Are you planning to watch it?